Birmingham construction group Colmore Tang is partnering with a Worcestershire tech firm on a new initiative aimed at improving health and safety on construction sites. Colmore Tang is starting to trial software developed by Bromsgrove-based Wearable Link which monitors the location and activities of construction site workers and examines employees&apos; vital statistics, detects hazardous conditions and notifies staff of unsafe working zones. Colmore Tang will now be sampling Wearable Link&apos;s technology on one of its live construction sites with 500 staff. Wearable Link was chosen from 210 applicants earlier this year to a new £10 million fund and programme called ConstrucTech which was launched to support construction companies that showed how their technology can improve the sector&apos;s productivity, sustainability and skills. 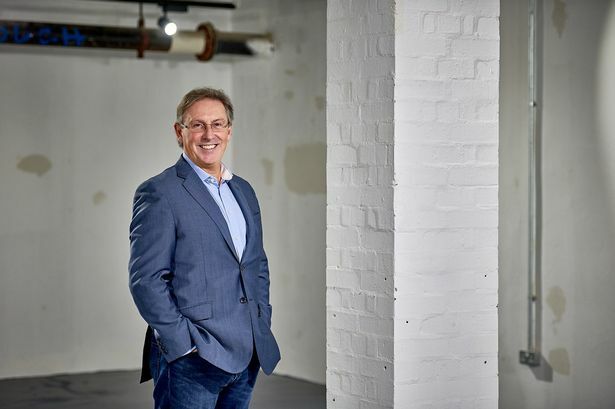 ConstrucTech is run by business support organisation Virgin StartUp with Colmore Tang and is said to be the first time Virgin StartUp has partnered with a company outside of the Virgin Group on one of its business accelerator programmes. The initiative also caught judges&apos; eyes at our West Midlands Tech Awards 2018 in which Colmore Tang has been shortlisted in the Digital Investor category. Chief executive Andy Robinson said he was excited about working with the firm to see how it could solve problems endemic in the construction sector. He said: "Working with this innovative start-up business is the next stage of the ConstrucTech process and we&apos;re really looking forward to seeing how their technology can help to resolve health and safety issues that are addressed every day by construction companies all over the world. "The purpose of ConstrucTech was to positively disrupt the sector and pave the way for a technology-driven future in construction. "We will be working very closely with our chosen finalist to test, re-test and refine the product to make it the very best it can be." ConstrucTech attracted applications from as far afield as Australia and the US and included concepts involving artificial intelligence, 3D print robotic products and cloud-based software.